At the IAB Podcast Upfront, NPR announced three new additions to its podcast portfolio. These shows include an in-depth NPR Member station investigation around one of the largest serial sexual abuse cases in U.S. history; a much-needed podcast that digs into the history behind our national discourse and current events; and a documentary about a Civil Rights cold case, reckoning with a white community’s role in upholding systems that create oppression and violence. The IAB Podcast Upfront is a one-day event where brands and media buyers learn about the latest podcast sponsorship and advertising opportunities from top content creators. 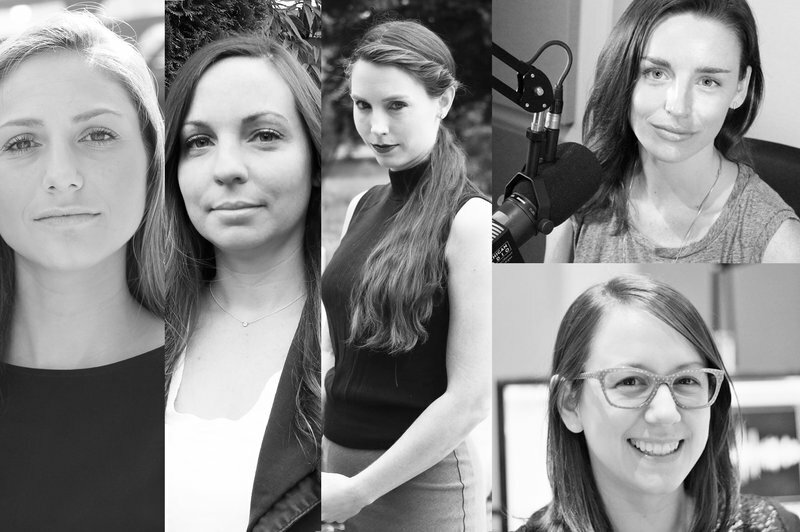 (L to R) Survivor Kyle Stephens by Jodi Westrick; survivor Brianne Randall-Gay by Kasey O’Dea; survivor Rachael Denhollander by Nicole Bolinaux; Michigan Radio reporter Kate Wells by Jodi Westrick; and Michigan Radio reporter Lindsey Smith by Lester Graham. People around the world were stunned in early 2018 when more than 150 women testified at the sentencing of Larry Nassar, an Olympic gymnastics doctor who sexually abused patients for more than 20 years. How did he escape justice for so long? How was he able to maintain his appearance as the good guy, the ally, the protector? Why did people keep trusting him? 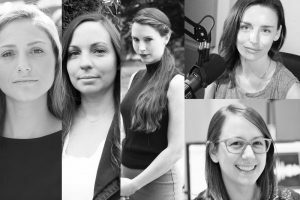 Believed, hosted by Kate Wells and Lindsey Smith of Michigan Radio, answers those questions with greater depth and access than any previous coverage. The mini-series is both an intimate look at how a team of female survivors, detectives, and prosecutors won justice and found their power, and an unnerving exploration of how well-meaning adults can fail to believe. This timely and thoughtful coverage documents a cultural moment when people are coming to understand how important that is. Hosted by Rund Abdelfatah and Ramtin Arablouei, Primer provides the history we sometimes forget — or didn’t know in the first place — of the events in the news and ideas dominating our national discourse. Through immersive storytelling, they’ll explain how the U.S. overthrew Iran’s democratic government and changed the world; unpack why charlatans have often played an important role in America; explore the tradition of black athletes using their platform to protest injustice, and more. Whether you need a refresher or are new to a story, Primer will give you necessary context for what’s happening in the world today. In order to investigate a Civil Rights-era murder, two journalists from the South must reckon with their white community’s role in upholding systems of oppression and violence. In a place where shame and silence conspire against them, they uncover a story about justice and memory that says as much about the present as it does about the past. NPR is the leading publisher of podcasts with 42 active programs, and has held Podtrac’s #1 spot since Podtrac began counting in May 2016. NPR podcasts are heard by over 16 million listeners every month, according to Podtrac — a 36% increase from 2017. Listeners can find these all these NPR shows in their preferred podcast platform, NPR One app, and smart speakers. NPR news and storytelling is available everywhere, across all devices: on the air, online, and on demand.